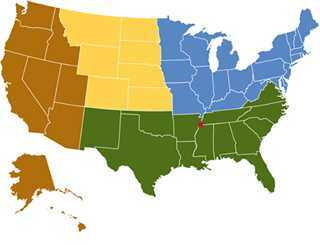 Below is a map containing colored regions in which your state is located, and all regional development contacts are below. Contact Kathy McCollum at 901.758.3710 or kmccollum@ducks.org if you cannot find the contact for your region or program area. 193 Business Park Drive, Ste. E.